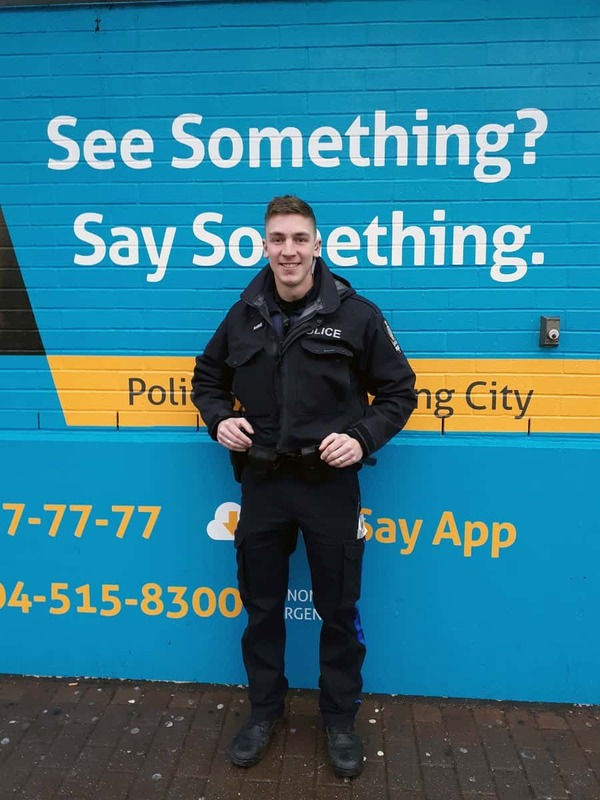 METRO Vancouver Transit Police Constable Josh Harms, 27, who was shot in the line of duty at Scott Road SkyTrain Station on January 30 will be undergoing surgery this week. Harms was taken to Royal Columbian Hospital last week on Wednesday with serious, but not life threatening injuries. He was released from hospital late that evening. 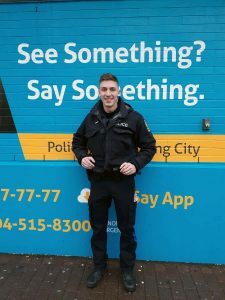 On Friday, February 1, Harms attended the Metro Vancouver Transit Police headquarters to meet with the officers he works with on a daily basis to express his gratitude and reassure them he is doing as well as can be expected. “I have so many reasons to be grateful, and so many people to thank. many, and am thankful for everyone who has expressed well wishes. In particular, I thank the Metro Vancouver Transit Police, Surrey and Burnaby RCMP, Lower Mainland ERT, the staff at B.C. Ambulance Service and Royal Columbian Hospital. I would also like to thank the many members of the public who expressed their support. MVTP said their thoughts are with him and his family, and they wish him a speedy recovery.